Watch video on YouTube, Vimeo, or Dailymotion. 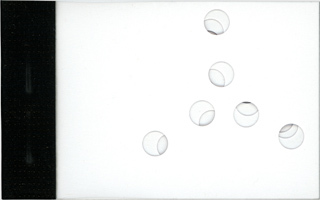 Instead of the standard printing method, I punch small circles in each page to produce whirling animations. 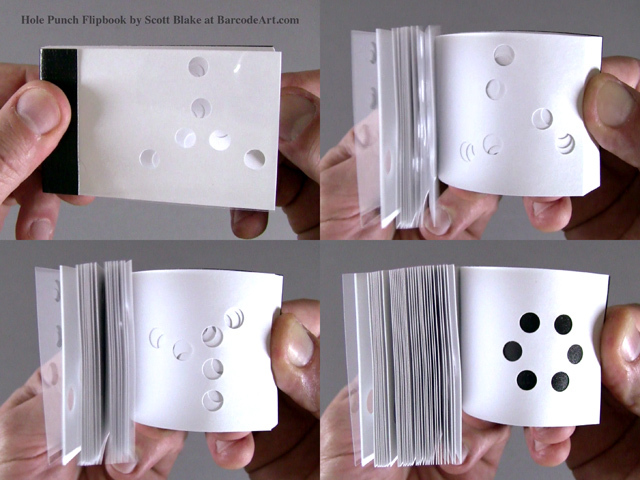 These flipbook are constructed from 110 pound paper and bound with heavy duty staples. All of my flipbooks are signed and dated. Download Hole Punch Flipbook PDF to make your own.